We are offering Colourful Stickers to our client. We are one of the leading manufacturer and supplier of Multi Color Stickers, we are supplying wide range of quality products with efficient pricing. 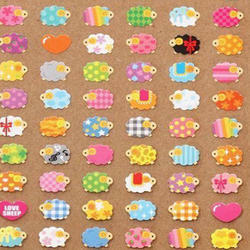 These labels are multicolor for product decoration, warning labels, instruction labels, sales promotion and advertising. Industry pesticides, cosmetics, pharma, food processing, liquor etc.